They don't have a signature dish. They don't have lots of celebs stopping by. The food isn't even very good. 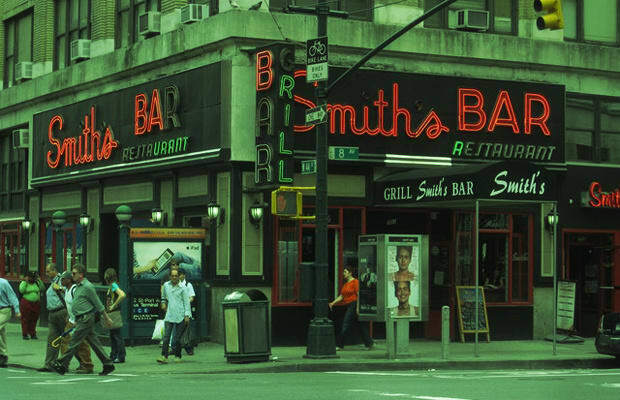 Some restaurants that should have long ago fallen victim to fickle trendoids and sky-high Manhattan rents, if not their own mediocrity, somehow, against all odds, are still standing. But these hardy survivors of the days when men wore fedoras and rents were affordable have endured because...well, why, exactly? We've been taught to respect our elders, and a mediocre 60-year-old restaurant in Manhattan beats another Pinkberry, hands-down. Still, despite scraping up a solitary reason why people might actually stroll into one of these spots, we can't really understand why these places still exist. Are these restuarants old school...or just old? Your guess is as good as ours.